Yet, it’s this same modesty that ends up dragging the album down in places. It’s true that Albarn, Allen and Flea are all extremely skilled musicians, but for a record largely composed of deliberately-paced instrumentals, very few of these—namely “There,” “1-2-3-4-5-6,” and “Leave-Taking”—leave an impact. Most of these sorts of numbers barely scrape by the two minute-mark, and while this helps reign in indulgent jamming, grooves as subtle as these need time to build up and ingratiate themselves. Because of this, at 18 tracks, there are points where the album begins to meander and slide too far out of consciousness. Still, even if the merit of this group makes you wish this was a tad less slight, there’s not a moment here that’s unlistenable. 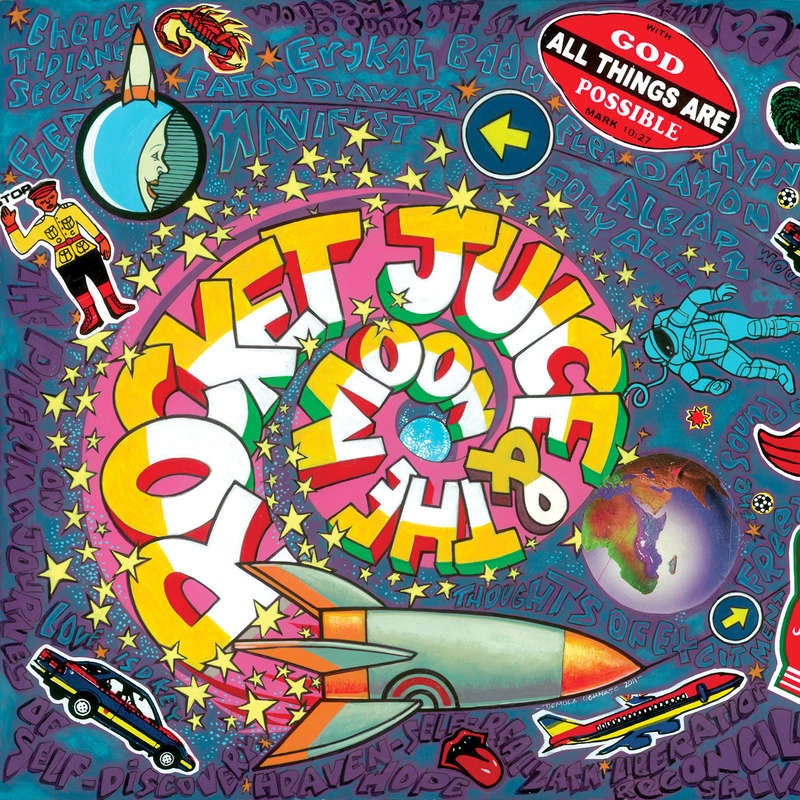 Rocket Juice & The Moon is simply a quaint, summery gem.